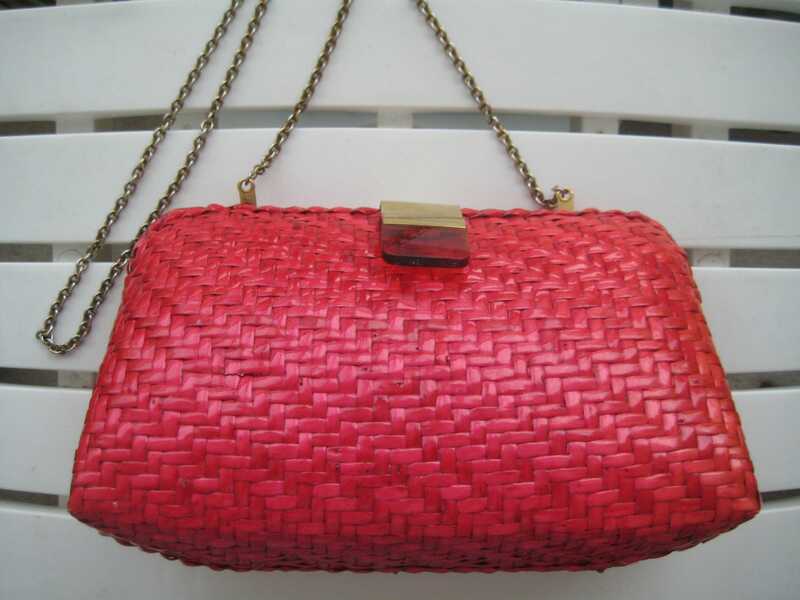 Pretty bold pink shoulder bag in wicker. Still has a Nordstrom tag. Made in China by Vanessa. 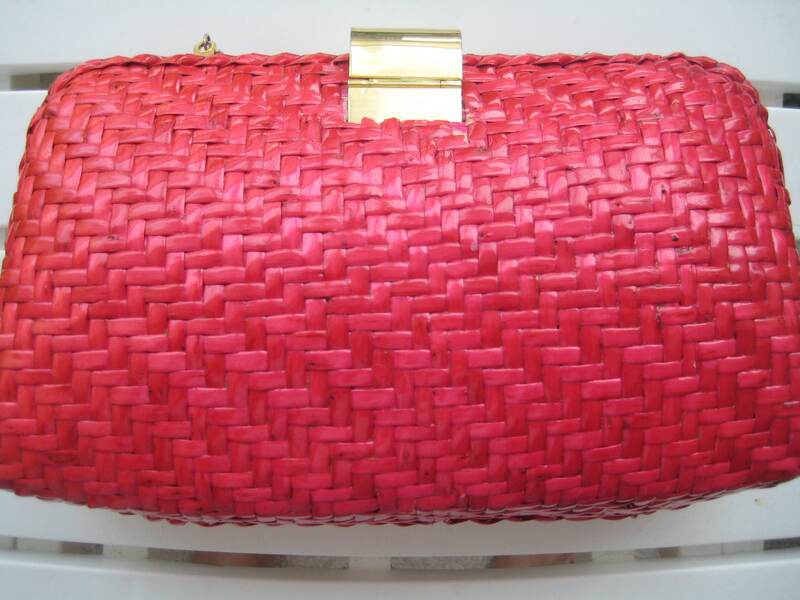 This bag is fully functional, closes well and looks fabulous. 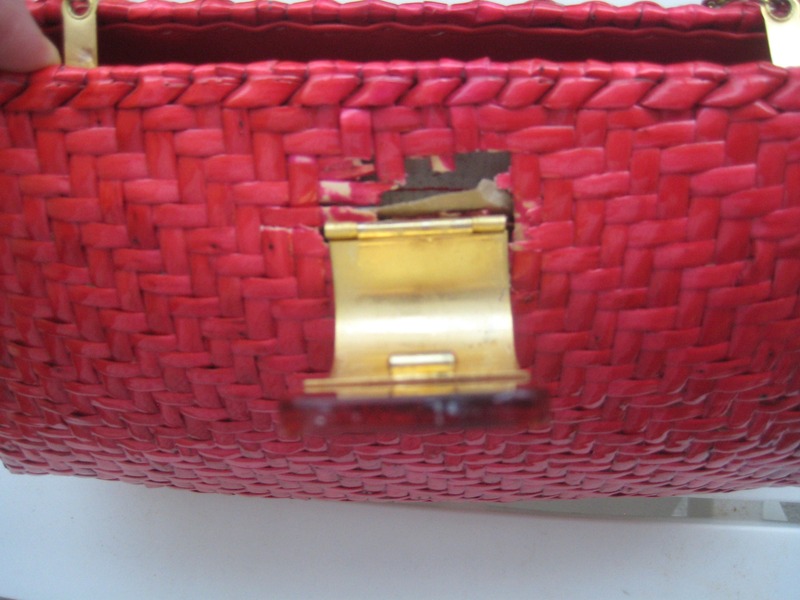 However, the fold over closure is loose when opened with wicker wear underneath as shown. When closed - it is secure and lovely. The gold tone metal fold over catch has a chic amber colored Lucite tip. 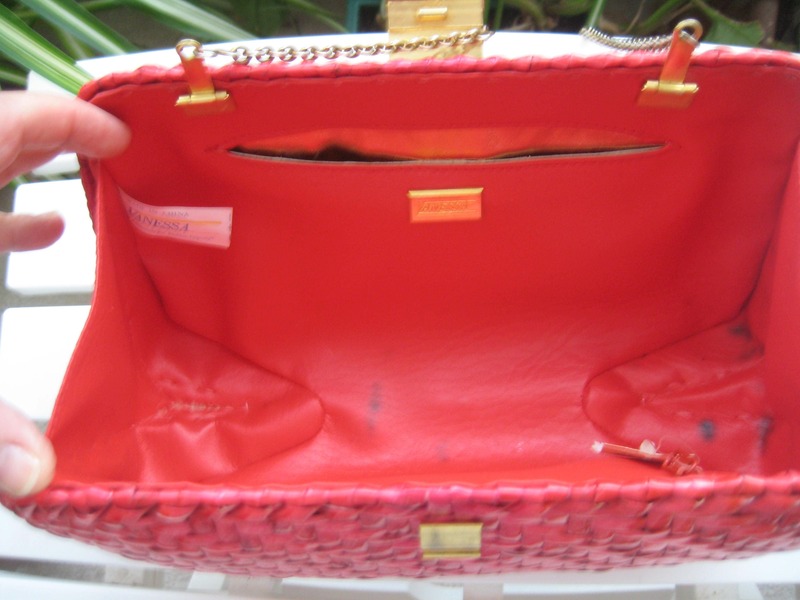 Red leather interior with one gold trimmed side pocket. Two dark spots on the bottom. Long gold tone shoulder strap with a 20 inch drop. 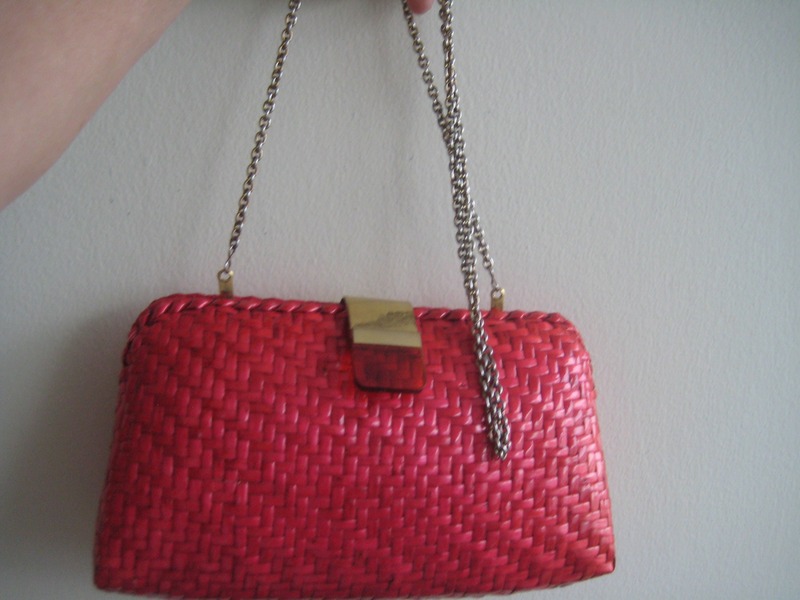 Chain folds inside to make a clutch. A little glue gun application will probably make this bag secure. Dimensions: 11 inches long x 5 inches tall x 3 inches wide on the bottom.